Ideal for keeping fish in and predators out. Keeps debris from entering the pond. Reusable. 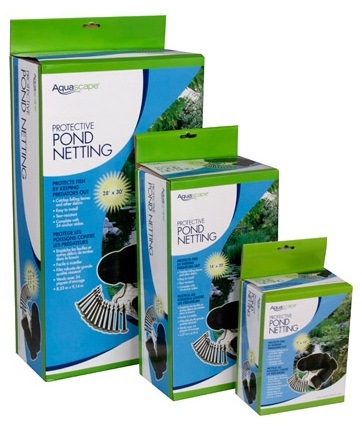 Aquascape Multi-Purpose Pond Netting comes conveniently rolled, making it easier to install. Don’t be fooled by the small package – this is quality, full-sized pond netting! Aquascape Multi-Purpose Pond Netting comes complete with 14 stakes; keeping the net secure and in place.